Pat Fallon is seating in a tractor at the Cow Palace. 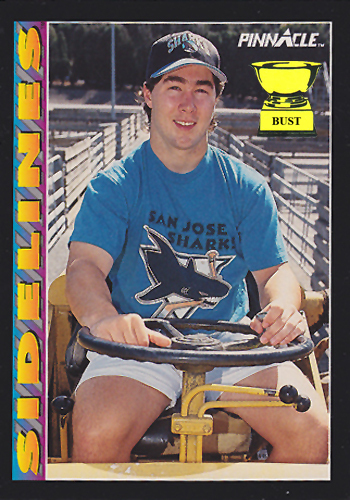 The San Jose Sharks played at the Cow Palace from 1991-93. They moved to the Shark Tank after the 1993 season. Damn you, Mercury News! Your alleged photo caption wasn't even close!